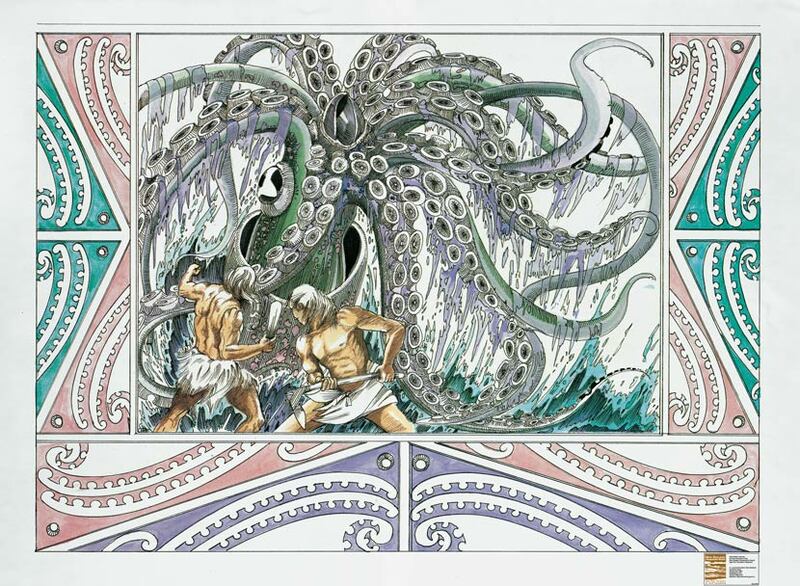 The battle between Kupe and the giant octopus Te Wheke a Muturangi is depicted in this illustration by Cliff Whiting. Kupe, reputed to be the first person to discover New Zealand, and Ngake (or Ngahue) are often remembered in tradition for their role in slaying the creature. Reference: He korero purakau mo nga taunahanahatanga a nga tupuna: place names of the ancestors, a Maori oral history atlas. Wellington: New Zealand Geographic Board, 1990.